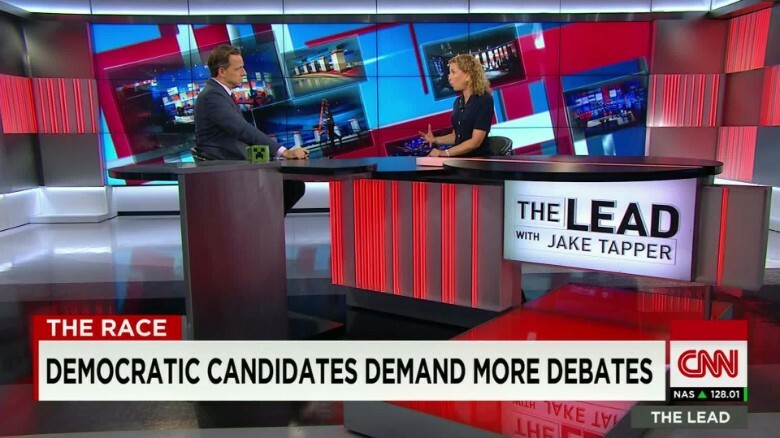 The scheduling of the Democratic debates has become one of the biggest issues of this primary season in light of the exclusivity clause which prevents candidates from appearing in the DNC sanctioned debates if they appear in any other debates. Both Bernie Sanders and Martin O’Malley have criticized the DNC over the new debate rules. New Hampshire Democrats criticized Debbie Wasserman Schultz over the weekend. Last spring, when negotiations between the DNC and the Dem campaigns over the debate schedule got underway in earnest, the Clinton camp’s preference was to have only four debates, one in each of the early contest states of Iowa, New Hampshire, Nevada and South Carolina, according to a senior Democrat with knowledge of those conversations. The problem is that of the four debates that are actually scheduled, three come on weekends (as opposed to during weeknight prime time), one of them on the weekend between the end of Hanukkah and Christmas. The two remaining (as yet unscheduled) debates are in February or March, one on Univision and the other on PBS. Between those two and the one in January, there will be only three Dem debates in 2016, during the period in which Democrats will be voting in dozens of contests — from the early contests through the big state primaries in early and mid March, a period that could very well settle the outcome. By contrast, Republicans have six debates scheduled throughout that period, many on major networks. Once the official DNC debates are either completed, or near completed, it also makes it easier for candidates to agree to appear in debates sponsored by other groups as the DNC’s sanctions will not be as meaningful, but it remains questionable if Hillary Clinton would agree to participate in further debates. As it is, the GOP debates are drawing very big audiences. It’s true that this is due to the Trump carnival — making this in some ways a negative for the GOP. But the positive side for the GOP is that enormous numbers of voters are seeing the other GOP candidates in strong moments, which is good both for GOP organizing in the primaries and for giving them and their ideas exposure beyond the GOP primary audience. Add to this the imbalance in the number of debates in this 2016 window, when voters are seriously tuning in, and Dems risk ceding the airwaves and squandering a chance to build excitement and engage more voters, some party officials have argued. “Left unchecked, the superior RNC schedule could easily reach 50 to 100 million more eyeballs than the current Democratic schedule — meaning tens if not hundreds of millions of dollars of lost opportunities to persuade, engage and excite the audiences all Democrats will need to win in 2016,” argues Dem strategist Simon Rosenberg. Democrats are risking a serious problem with turnout if Hillary Clinton wins the nomination in a year when the outsiders are creating all the excitement. This problem could be further exacerbated should she be the nominee by this limited debate schedule. Clinton’s fear of facing her Democratic challengers could seriously hurt her should she be the candidate in the general election.